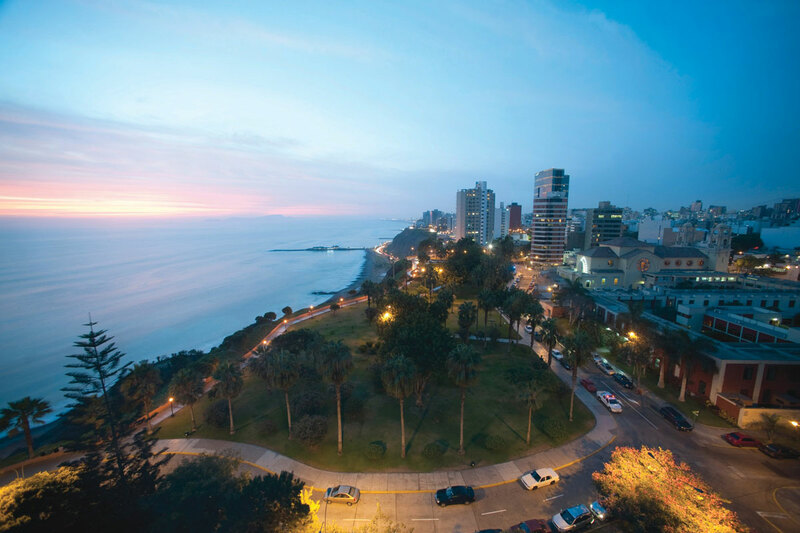 Belmond Miraflores Park opened its doors for the first time in 1999 as the first 5-star hotel in the city. 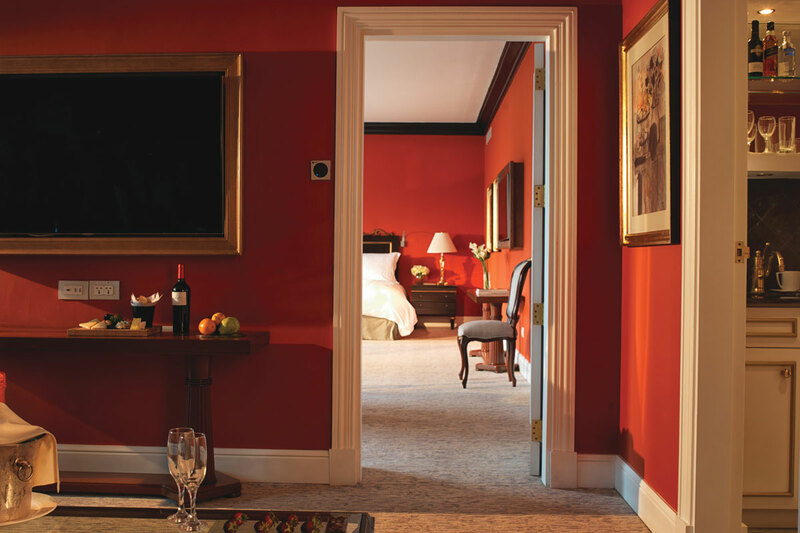 Two years later, the hotel was sold to Orient-Express Ltd which added an extra touch of luxury to the beautiful original property. Set in a verdant garden atop a towering cliff, Belmond Miraflores Park is a true urban sanctuary. 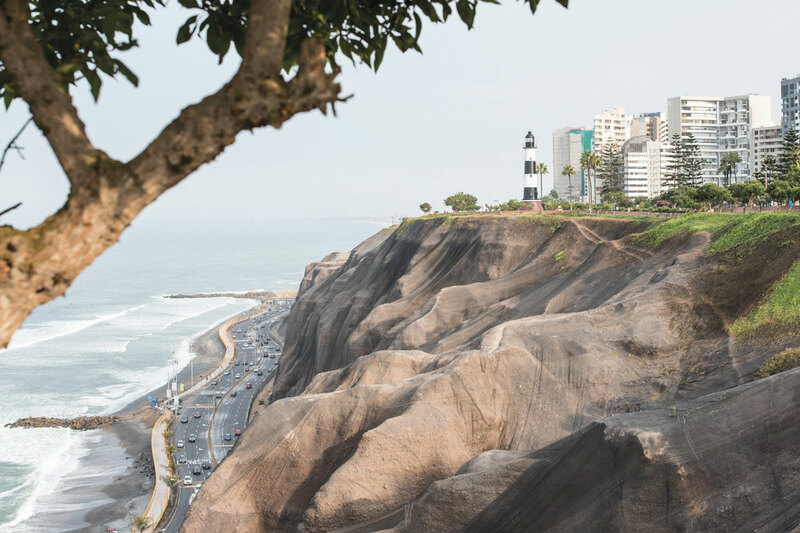 The hotel takes its name from the well-heeled neighbourhood of Miraflores; a suburb of Lima loved by locals for its luxury shopping and blooming six-mile boardwalk that borders the Pacific. There’s a sophisticated Executive Lounge on the tenth floor in which you can while away those work hours in style. 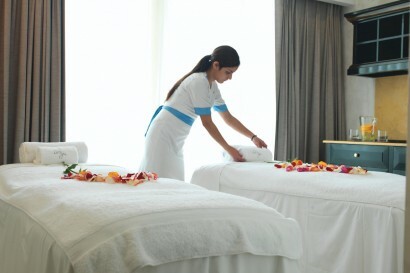 For those looking to kick-back and relax, the Zest Spa offers heavenly treatments that incorporate Peruvian products. Come evening guests ascend to the hotel’s rooftop for a sunset dip in our heated pool. In the intimacy of our Tragaluz restaurant you’ll feel like you’ve just discovered the wonders of ceviche for the very first time. Breakfast is best-enjoyed al fresco on a terrace on the eleventh floor. The Hotel reopened in April 2014. 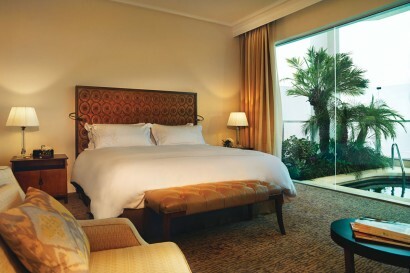 The renovation included a fresh new look for guest rooms and a stylish new restaurant, Executive Lounge and bar. In 2016, 8 new suites were added to the collection. Miraflores, a residential and fashionable district in Lima. 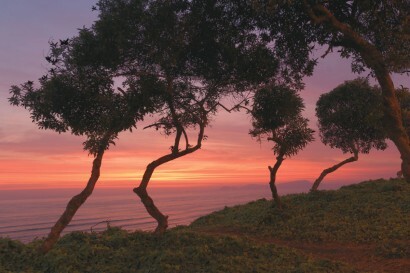 It is located approximately 35 minutes from the International Airport of Lima. Transfer to/from airport can be arranged by the hotel, or added to reservation during the booking process. 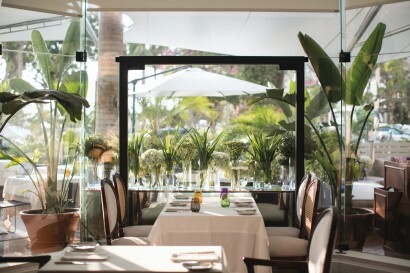 • Belmond Miraflores Park has welcomed famous guests throughout its history: from world-class signers like Sir Paul McCartney, Jennifer Lopez to world’s leaders such as the Secretary-General of the United Nations, USA President Bill Clinton and European royalty. Children are invited to view fun movies on the second floor, above the bar. Complimentary snacks are offered, including popcorn and cookies. Also, family fun surrounded by nature just outside the hotel or visit Sariri, our pet turtle. • 1 Terrace One Bedroom Suite (120m2): 10th floor. City view. 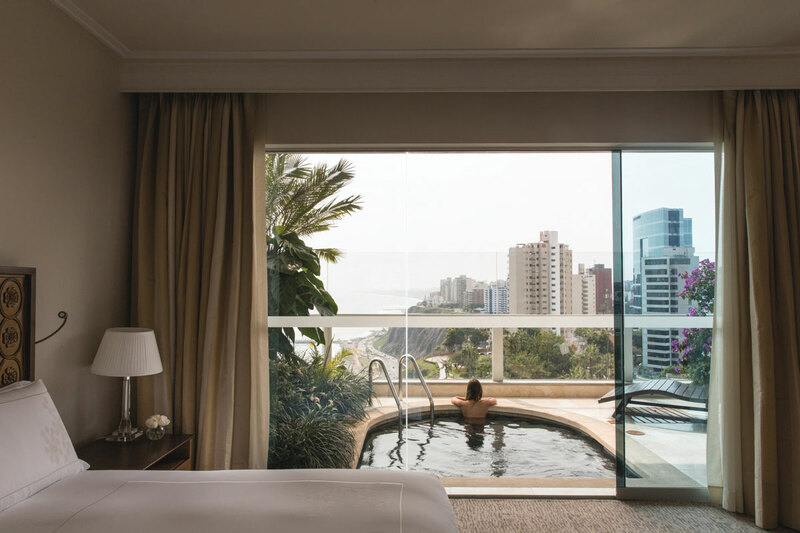 Enjoy a refreshing swim in our heated rooftop pool, with breathtaking views of Lima and the Pacific Ocean. Perfect for adults and children, the pool measures 17x5m (55x16ft) and is 1.6m (5ft) at its shallowest and 2.2m (7ft) at the deep end. Start the day calm, collected and revitalised. Our expert, bilingual staff will guide you through stretching, breathing exercises, jogging, yoga and meditation. Available 6:30-7:30am Monday to Friday, reservations are required. Whether a board meeting or a formal dinner, a multilingual conference or a glamorous wedding, the hotel offers eight elegant function rooms ideal for any event. Executive Lounge Located on the 10th floor. Open 24 hours a day; service hours 6:30-22:30. 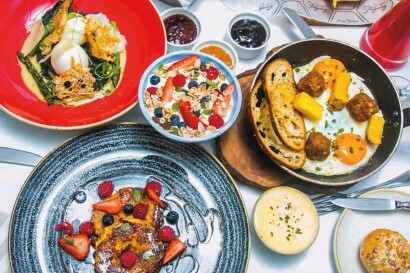 F&B service: Hot breakfast, afternoon tea, light lunch and cocktails at night. Other services: Private concierge, daily newspaper, WiFi. Trip Advisor – Travellers’ Choice Awards 2017 – “Top 25 Hotels-Peru”- # 5Top Hotel. Condé Nast Traveler(US)-Readers’ Choice Awards 2015–#19 in the “Top 25 Hotels in South America”. Travel + Leisure’s-World’s Best Awards 2015–#1 in the “Central & South America City Hotels”. Travel+Leisure’s-World’s Best Awards 2015–#58 in the “Top 100 hotels”. Trip Advisor–Travellers’ Choice Awards 2015–“Top 25 Hotels-Peru”-# 13 Top Hotel. 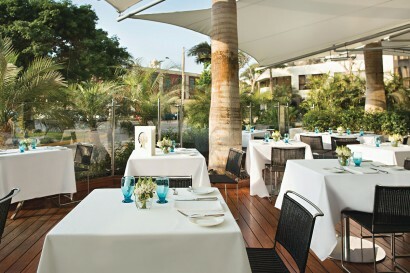 Travel+Leisure–World’s Best Awards-#10 in the “Top City Hotel in Central and South America”. 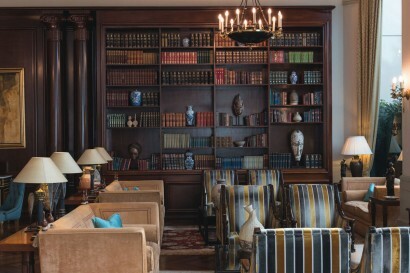 Trip Advisor–Travellers’ Choice Awards 2014–“Top 25 Hotels in Peru”-# 13 Top Hotel. 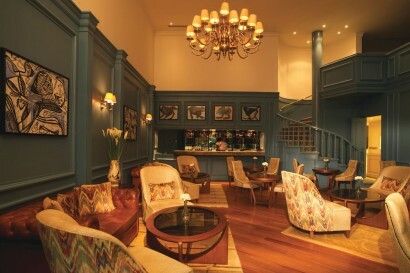 Trip Advisor – Travellers’ Choice Awards 2013 – “Top 25 Best Hotels in South America”- # 12 Top hotel. Trip Advisor – Travellers’ Choice Awards 2013 – “Top 25 Luxury Hotels in South America”- # 09 Top hotel. Trip Advisor – Travellers’ Choice Awards 2013 – “Top 25 Best Hotels in Peru”- # 03 Top hotel.